At least a dozen (Kurdish reports talk about 40) „foreign fighters“ are said to be detained by Kurdish militias, perhaps 130 from France. The Kurdish autonomous government is urging that they return to their country of origin and be brought to justice. Also the U.S. Government demands to bring these people to court at home, the issue was discussed at the recent meeting of the Global Coalition against IS. The International Criminal Code calls for international solidarity in criminal prosecution. This means that prosecutors from Germany can also investigate international crimes in other states. The German Federal Public Prosecutor’s Office has therefore established a „War Crimes Unit“, and the „Central Office for Combating War Crimes“ at the Federal Criminal Police Office (BKA) has been commissioned with the necessary investigations. It cooperates closely with the political police departments in the 16 Länder and the domestic secret service. However, information also comes from non-governmental organisations. In order to trial „foreign fighters“, evidence is needed, which is now collected in the combat zones. In order to identify perpetrators in Syria, the BKA central office searches the so-called „Caesar files“. These are more than 50,000 photos, which presumably are forensically analyzed by face recognition. Further photos, but also fingerprints or traces of crime scenes can be obtained by the BKA from Interpol. Several years ago, Interpol launched the „Gallant Phoenix“ project, which processes fingerprints, DNA traces, forensic data or interception protocols collected by the US military in Syria and Iraq for police authorities. They are declassified and then passed on to police authorities participating at „Gallant Phoenix“. In processed form, the military evidence could then via Europol also be received bey the BKA. According to a EU document that was made available online by the British civil rights group Statewatch, the first data has flowed into „Gallant Phoenix“ to the participating authorities from 71 Member States. According to a media report, the German Federal Intelligence Service is also part of the cooperation. Together with NATO and the European Union, Interpol has also launched a training programme on the use of „battlefield evidence“. It is aimed at military personnel from Iraq and is intended to help solve crimes committed by ISIS supporters there. A first seminar took place at the Academy of the European Gendarmerie Force in Italy. In January, civilian and military „practitioners and experts“ from 25 countries met with Interpol, Europol and NATO in Malta. Interpol now plans to set up a similar project for the Sahel region. Interpol is also monitoring the Internet for evidence on „foreign fighters“. In particular Social media are searched, Interpol is using a procedure with face recognition. The investigators want to find media content in which suspects or contact persons appear committing a crime. According to the document published by Statewatch, the police agency Europol is also running such a project under the name „FACE“. Interpol calls on the 194 member states to increase their searches in its databases in investigations against „foreign fighters“. This would concern the file for stolen or missing identity documents as well as the search database with international arrest warrants. A search in Interpol files can also be carried out for unknown persons. For this purpose, the Interpol central offices can use fingerprints, and recently it has also been possible to search with facial images. A UN resolution demands that Interpol member states inform the General Secretariat about a find on „foreign fighters“. The so-called I-24/7 Interpol channel is to be used for this purpose. Interpol will then store the information on „foreign fighters“ in a separate file. According to Interpol, at least 25 states do not comply with the duty to provide information. In the opposite way, Interpol also informs the national central offices about possible evidence regarding their citizens. The authorities from the European Interpol member states are then to enter this information into the Schengen Information System (SIS II). This does not only concern requests for arrest. The European Union recently decided to add the term „terrorism related“ to alerts of „foreign fighters“ in the police database. The wanted persons can be discreetly checked or searched when they are found. However, Interpol states that the SIS II is not used to its full extent. According to the latest figures, however, these alerts are increasing drastically; police authorities and secret services from France in particular are making intensive use of the discreet controls and searches. The number of queries from the European Union in Interpol’s databases can also be searched for unknown persons. In the „Interoperability“ programme, thousands of police and border authorities can use a search engine that also queries Interpol at every ID check. The Interpol General Assembly adopted this increased use in a resolution two years ago. Asylum and border authorities should also have access to the databases. North African countries in particular are not fully connected to Interpol. Governments there are therefore supported in setting up liaison offices at ports, airports and land borders. The European Union is financing a similar programme under the name „Sharaka“, focusing on some MENA countries (Algeria, Egypt, Jordan, Lebanon, Morocco and Tunisia). 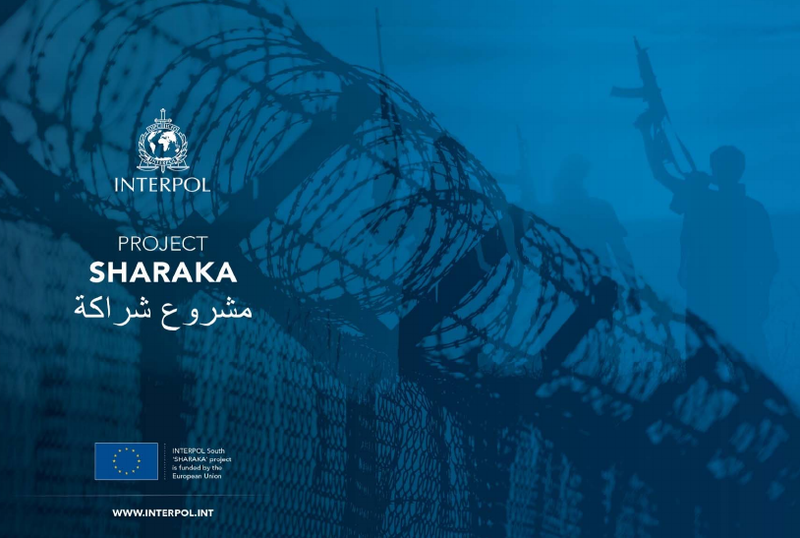 In „Shakara“, Interpol also carries out joint police operations with the participating countries at their border crossings. Interpol also sends a liaison officer to the EU mission EUNAVFOR MED in the Mediterranean. This should ensure that refugees coming via North Africa are also cross-checked with Interpol databases. In EUNAVFOR MED Interpol uses military information. Together with Europol, Interpol has set up a so-called „crime information cell“ to process personal data at all. The corresponding documents must be downgraded in their military secrecy. It is not known how many people are mistakenly suspected of being „foreign fighters“ or whether programmes such as „Gallant Phoenix“ are also used to persecute members of Kurdish militias who oppose the „Islamic state“ in Syria. The question could soon be answered by a study of the European Union’s Agency for Judicial Cooperation. It is now to examine whether the military information from the „battlefield“ was actually helpful for the prosecution.